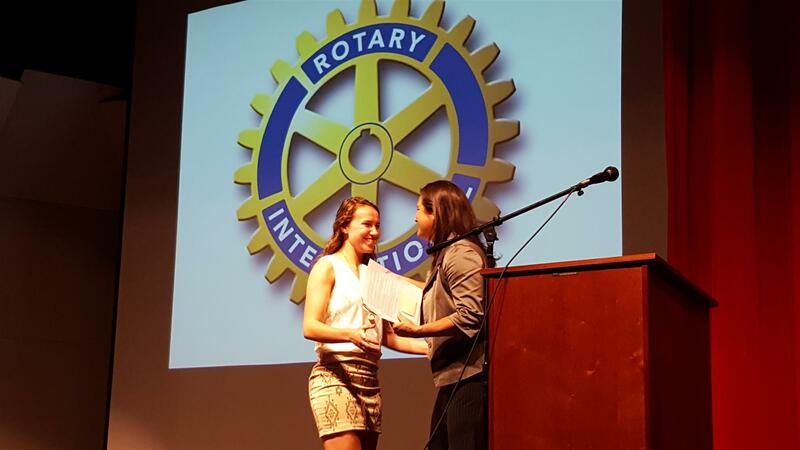 Megan Borland, Vocational Services Director, awards the 2016 Rotary Scholarship to Allison Rowe at the Homestead High School Awards Program on May 23rd. 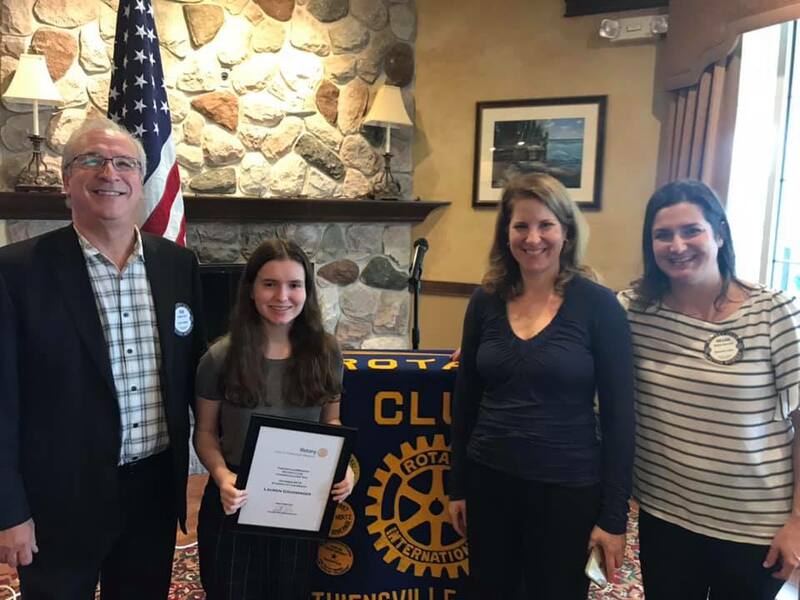 "Good evening, my name is Megan Borland and I am here on behalf of the Thiensville-Mequon rotary club to present our annual scholarship award. This award is the culmination of our “Student of the Month” program, a program designed to recognize Homestead Students who are leaders within their community and school and have donated a significant amount of their time and effort to community service. "In years past, we have awarded this individual with a $1,000 scholarship. However, this year, in lieu of receiving the scholarship, our recipient will actually be donating that money back to the Rotary Foundation. This generous gift will allow Rotary to continue to make a difference in the lives of millions of people around the world. So tonight, not only are we recognizing this individual with the “Student of the Month” award, but we will also be recognizing them as a “Paul Harris Fellow”. "Paul Harris is one of the founders of rotary and the “Paul Harris Fellow” recognition is given to those individuals that donate $1,000 to Rotary International. This student will be one of the youngest Paul Harris fellows to receive this designation. This student will join many other notable figures that have been named as Paul Harris fellows, such as Mother Theresa, President Jimmy Carter, and Russian President Boris Yeltsin, to name a few. 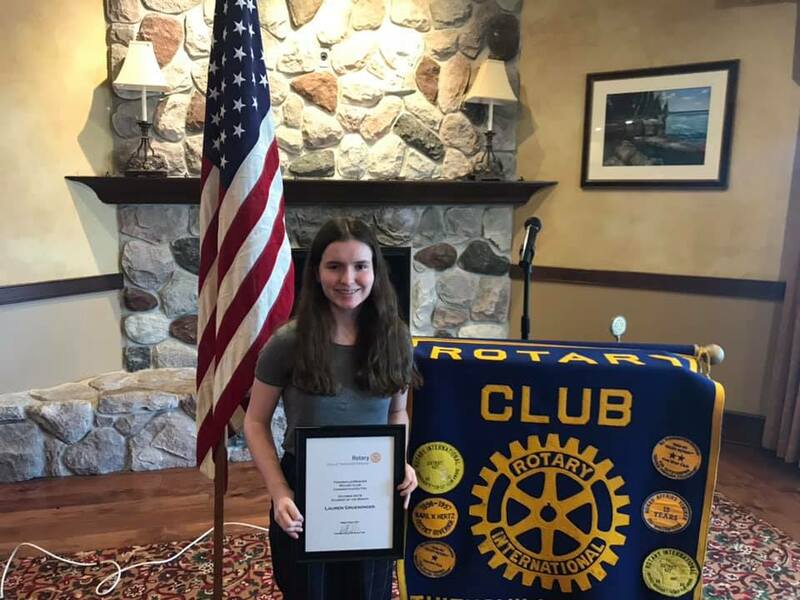 "This year’s Student of the Month Scholarship Award is an individual who truly exemplifies our club’s motto of “service above self”. I am very excited to present this year’s award to Allison Rowe." December of 2004 saw the initiation of the T-M Rotary Student of the Month program. The mission of this program is to honor students who have distinguished themselves on the basis of high scholarship, demonstrated service and volunteerism to their school, their community and their church. The selected student and his/her parents are invited to a Rotary lunch meeting and honored with a framed Recognition Certificate. 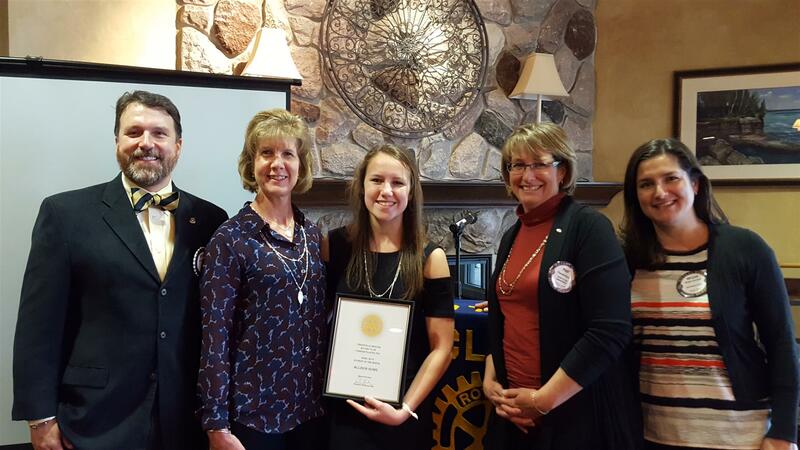 Honored students may be eligible for a Rotary scholarship.